So far we’ve talked about two new enemies that are part of the upcoming ‘Beasts & Exploration’ DLC and intended to spice up the mid to late game. We want to bring fresh enemies to all stages of the game, so this week we’ll take a look at a new beast aimed to bring variety mostly to the early game. Let’s crawl! 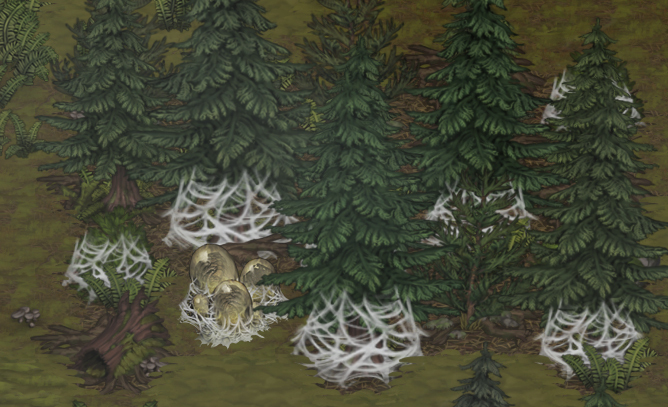 The Webknecht is a large arachnid that lives in sizable colonies in the dark areas of forests throughout the world of Battle Brothers. It’s there that they spin their webs between trees to trap anything from bird to deer and between. Unlike most other beasts, Webknechts don’t usually roam a lot, preferring instead to sit in their territory and wait until something unfortunate gets itself caught in one of their nets. Still, they’re known to choose the vicinity of settlements for their home on occasion and threaten the lives of villagers and their livestock. The presence of a large enough number of Webknechts is heralded by extensive webs spanning from brush to tree to rock, uniquely transforming any combat environment in a way that leaves no doubt about who lives there. 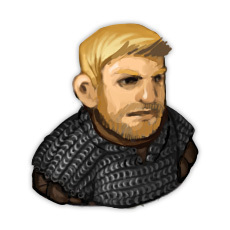 Worse still, amidst the webbings are nests of eggs, and these eggs hatch during combat. You can seek them out, and destroy them with a single strike before they hatch, but otherwise, as combat goes on, there’s always the danger of more and more eight-legged terrors swaming you until you cut down enough to make it ebb. Webknechts make use of the ‘Weave Web’ skill to weave around their opponents a sticky web, which prevents anyone trapped inside from moving and reduces their ability to attack with full force or defend themselves effectively. Characters can attempt to free themselves of the web during their turn, and each failed attempt increases the chance of subsequent attempts succeeding, but doing so can quickly become tiring, which only works in the arachnids’ favor. Webknechts aren’t as frenzied in their attacks as, for example, Direwolves are. Instead, they choose to let their opponents tire themselves out by struggling in their webs, and they wait until an opportunity presents itself and their opponent is distracted before they attempt to bite them a single time per turn. They act as a swarm, and so the more oversized spiders surrounding a target and acting in concert, the more effective they become. The Webknecht’s bites aren’t terribly dangerous to the armored mercenary, but Webknechts are poisonous, and receiving hitpoint damage will apply it. Unlike the poison employed by Goblins, the Webknecht poison does damage to vital organs over several turns and characters can die from it. The Antidote item already in the game works just as well against this kind of poison, however, and is more important now than ever. In fact, it can now be crafted at will if you have the necessary components – but more on that in next week’s dev blog. I really like the themed tiles you added here. Is there a chance we might see more in that direction in the future for special locations like graveyards for example? ” My best EA spend money”. Keep the mark. Respect. Lovely creatures. It’s great that you have tought in enemies for early stages. Are we going to get specializied creatures in the new lineups? For example: nachos come in 3 forms, wolves come in 2 forms, zombies – 3 forms, skellies – 3 forms, spiders only 1 form? May we get spiders as not only early,but also a midgame and lategame challenge? 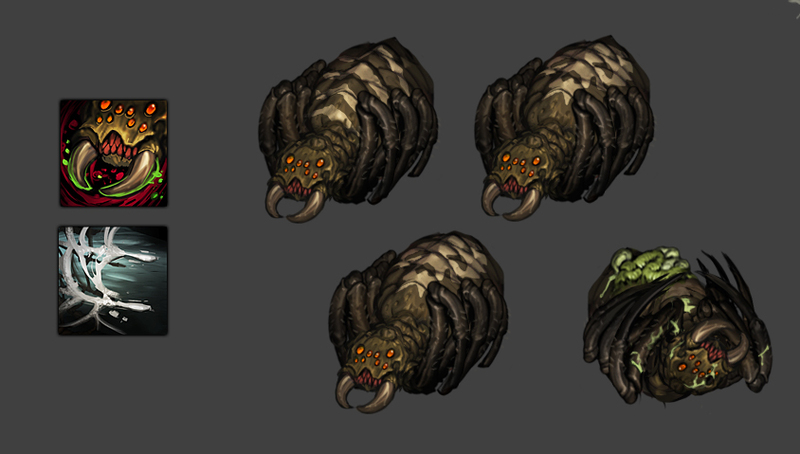 a warrior breed and some kind of spider queen breed will spice up the battles for sure! And a dragon attached in the lategame xD For compele forestofobia. kem, if you look at the third picture, you can see there are small and big variant of the spider! The Dark Ages meet the Carboniferous. Thought you will never draw legs for pawns that are still alive, ha! 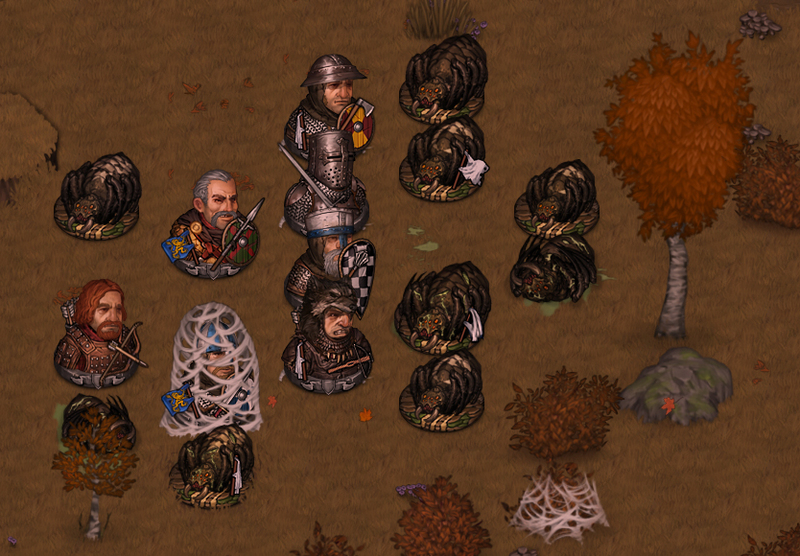 BTW, will the goblin be able to tame those spiders like what they do with the direwolf? Nice! I suggested this way back in 2016 and it’s great to see it being implemented! Now I need to find “Sting” to do proper battle with them.